The c ompany Kratzer Duben was established in 1994 as a daughter company of Kratzer GmbH by uniting Czech and Germany capital. Like our mother company, which has been operating in the market since 1962 and which has provited know-how, our company has a target to became market leader in the field of CNC chip machining in Central Europe. At present the company eploys 75 employees both in production and quality department and in technology and business department.In 2007 the company Kratzer GmbH became 100% owner and our trade name was changed to Kratzer s.r.o. This period was demanding, amount of orders was growing, it was impossible to meet growing demand of customers. Therefore we decided to build a completely new production hall in new location. The construction was completed in July 2008. 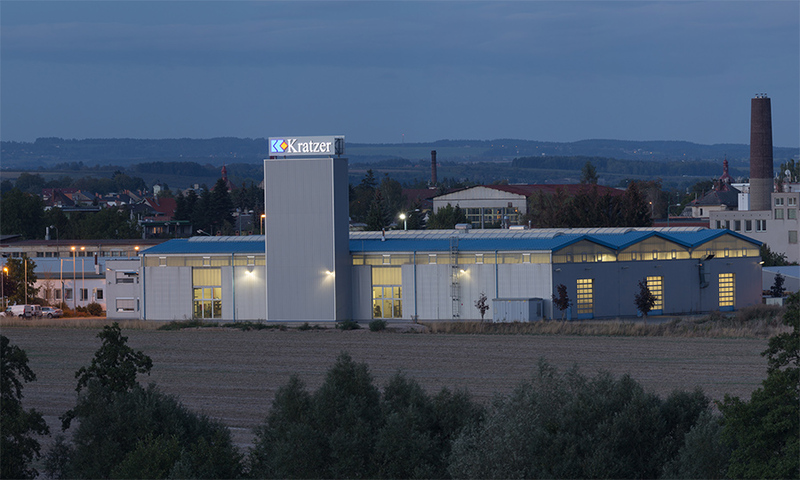 In August the complete company was relocated from Jasenná to newly created industry zone in Jaroměř, which is only 8 km far from the original company. We expanded production space a bought new machines to able increase production capacity. Our company is able to machine all chip machinable materials on the machines on the following list of machines and ensures required quality thanks to our measuring laboratory.Our quality control systém certified according to ISO 9001:2015, ensures high standart of our products expected by our customers. To be customer oriented a to adapt to customers needs. To invest in new technologies and production method pernamently. High quality of production and service.